The Blessed Seed Company’s aim is to produce the highest quality and affordable cold-pressed Black Seed Oil. This ensures that it retains its vital healing components (which gets destroyed or damaged when pressed too fast or using chemicals). We take great care to use only the best quality seeds available on the market; it has taken years to find who the best suppliers are. (Quite seriously, some of the samples we received in the past, the seeds were chemically cleaned. In few of theme, there was something very wrong. Also, some of the samples of oils that we came across were simply dreadful). After having produced and sold the black seed oil since 2002 we have done extensive research, and are able to offer 3 alternative strengths. 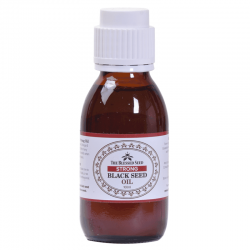 The Blessed Seed’s company are specialists in Black Seed Oil and believe we are surpassing the boundaries of other companies (hence our money-back guarantee – no other Black Seed company offers this). We received training in healing therapies; Mr. Antoine Pouget is a fully qualified Medical Herbalist, while Mr. Daniel Goodwin is a trained masseur with diplomas in Full body massage and Indian head massage. 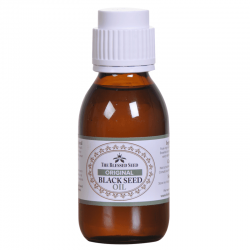 With the huge amount of healing capabilities found in Black Seed Oil, we were both interested in supplying this remarkable product to help heal illnesses. Over our 16 years of producing Black Seed Oil, we noticed that the strength of the oil can vary considerably. It was Mr. Antoine Pouget who recognized that this strength would come from the content of volatile oil; hence most research papers have concentrated on the volatile components in their studies. This led us to recognize that black seed oil can actually be produced in alternative strengths. On analysis, we found that most companies sell Black Cumin Seed Oil with a volatile oil content of about 1%. The volatile oil found in our Black Seed Oils, however, vary from 1% (MILD) to 4.8% (STRONG). This is why the blessed seed is able to offer 3 different strengths of Black Seed Oil; including our STRONG oil; which is the strongest Black Seed Oil available anywhere… in the world! Almost all black seed oil will have a certain amount of volatile oil content. This is what makes the oil pungent. Noticeably our stronger oils are more pungent. Most of the studies have concentrated on the volatile oils. Particularly thymoquinone. It is the aromatic oils that contain most of the antioxidant, anti-inflammatory, antimicrobial /anti-fungal, anti-tumor and immune enhancing activity. Together with our experience, expertise, and dedication to healing, not to mention our high-quality Black Seed products and of course our global shipping network; our aim is simple – to deliver premium Black Seed Oil products at affordable prices. Prices so affordable that you can use our products can not just as healing remedies, but even as an everyday food supplement by all. Our Black seed oil is a very high quality we have worked on for years, and we believe the feedback we’ve received from our customers speaks for itself. Read what some of our customers have had to say about our products, here. We also maintain this high strength with our contacts to farmers who know our requirements. They have supplied us with the strongest seeds to date and plant the seeds that produced the highest strength. In this way, we get the guarantee to receive a strong seed in the upcoming harvest. We are able to choose our farmers and only choose farmers who use the best agricultural methods for planting and harvesting. 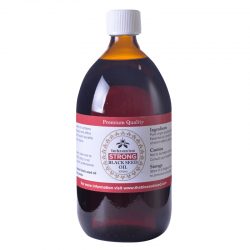 In this way, we are able to maintain the highest quality of black seed oil every year. Also before we receive any batch of oil, we have it analyzed to make sure it has the high content of volatile oil. All our samples over this year (2018) have been 4.3%. 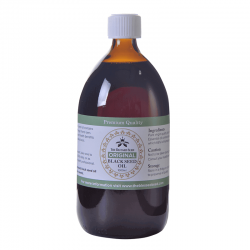 So there is a guarantee that we are purchasing the strongest black seed oil available. We pray that our brand will give benefit and help to our customers. The holistic capability of Black Seed Oil is a clear sign that it exists for our optimum good health, and to relieve us from our ailments.